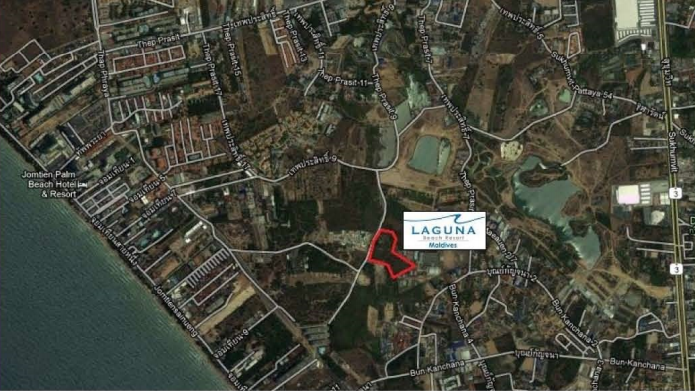 The property for sale is in Laguna Beach complex in Jomtien which is a town on the east coast of the Gulf of Thailand. It is about 165 km south east of Bangkok and 3km south of the city of Pattaya. 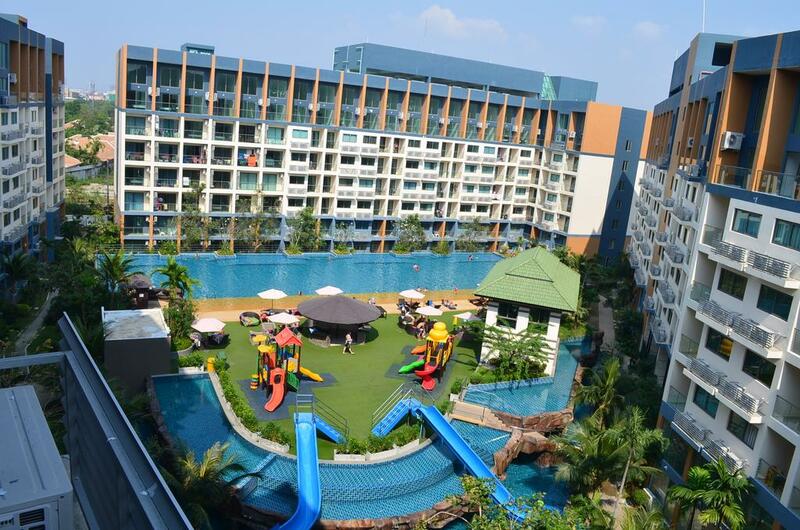 When the resort was released it was grandest resort in the Jomtien. 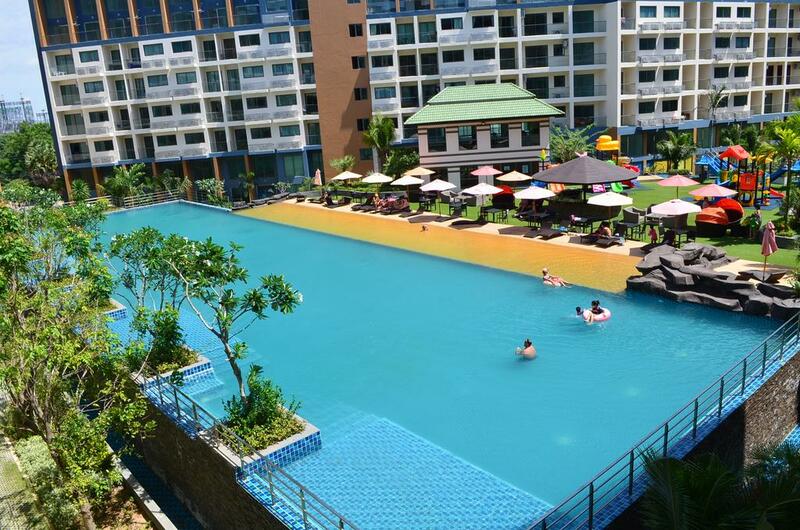 It is a seven-building development of over 25000 square metres and it was considered to bring real estate in the area of Pattaya to heights never reached. 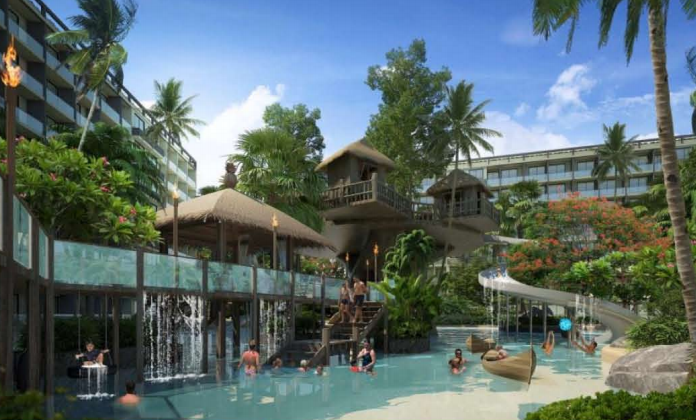 The resort features an enormous 15000 square metres of recreational area with a 5700 square meter Maldives themed lagoon pool running through the entire complex. 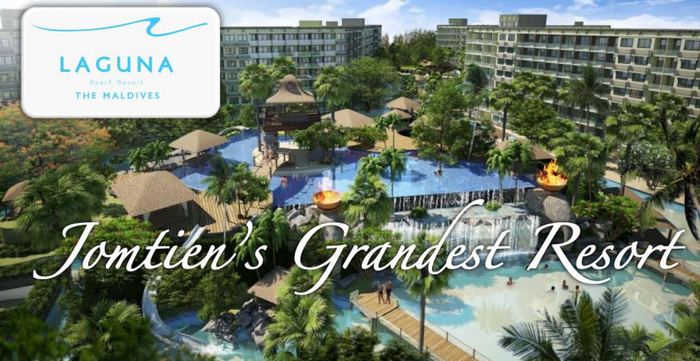 There are 3 different pool areas, featuring numerous landscaped gardens, boardwalks, Gazebo-relaxation areas and three white sand beaches. All the buildings have been positioned so that there is ample space between each one and lends to a feeling that the development was aiming for perfection for guests and owners rather than aiming at creating apartments to sell. Shops, bars and a restaurant will be on offer in the in-house commercial area with underground parking provided for the residence’s convenience. Luxury open aired lobby areas, multiple fully equipped gymnasium suites and a relaxing massage and spa service provide a unique location.